Posted: July 24, 2017 in F1, Fotos, Who,What,Where & When...? The cars were built in the Horch factory located in the town. 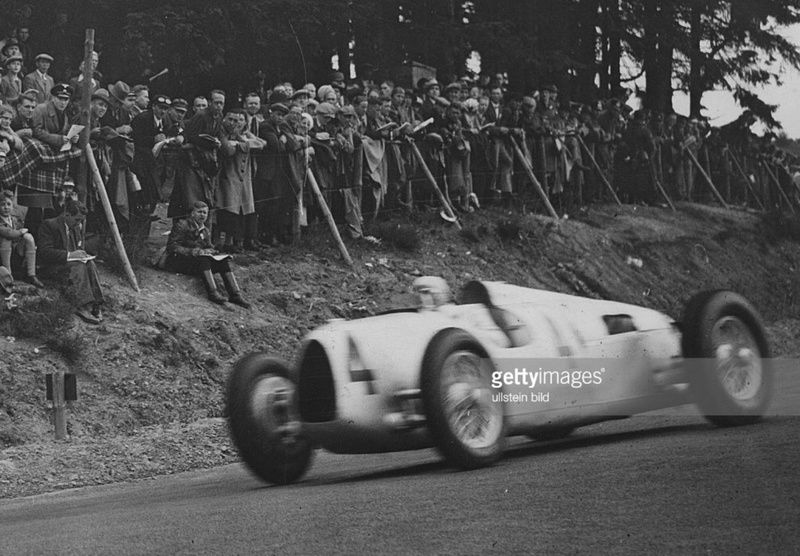 Bernd Rosemeyer drives the lead car with Hans Stuck, Ernest Von Delius and Rudolf Hasse in the cars behind. 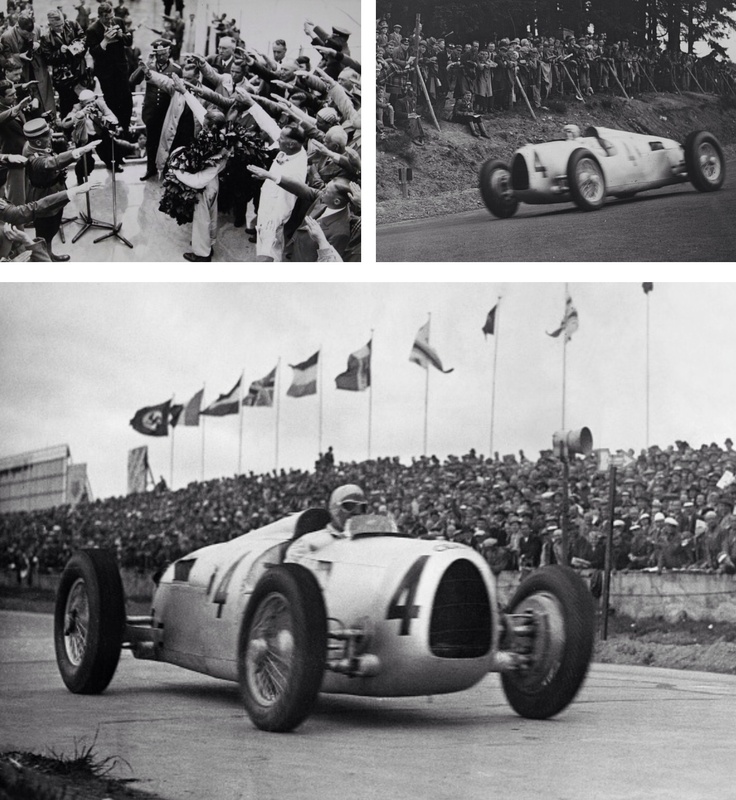 After two years of Mercedes supremacy it was the turn of the mid-engined, 6 litre, 520bhp Type C V16 engined cars. 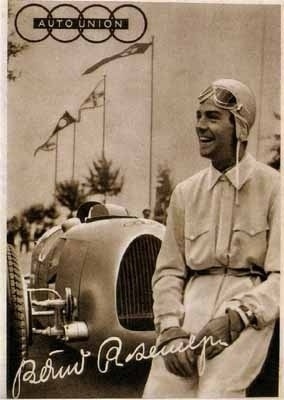 Rosemeyer was the dominant driver winning 3 of the 4 championship rounds- the German, Swiss and Italian GP’s. 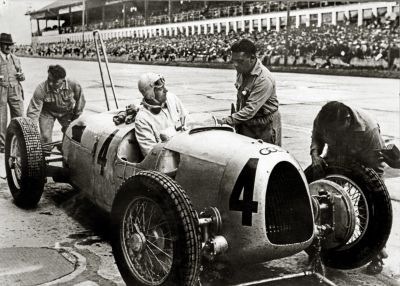 Rudy Carracciola’s Mercedes W125, powered by a 600bhp 5.6 litre V12 in 1936 took the Monaco race. 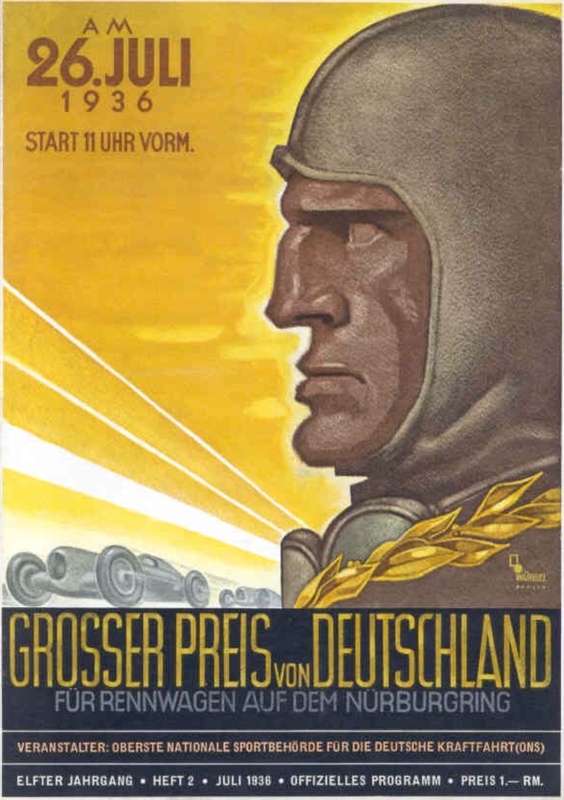 Rosemeyer also won the Eifelrennen and Coppa Acerbo non-championship events. And then I wondered which car and where of course, and as is so often the case with the Getty Archive there are no useful details. It makes the detective work a challenge, there are obviously not a lot of hints in this shot! 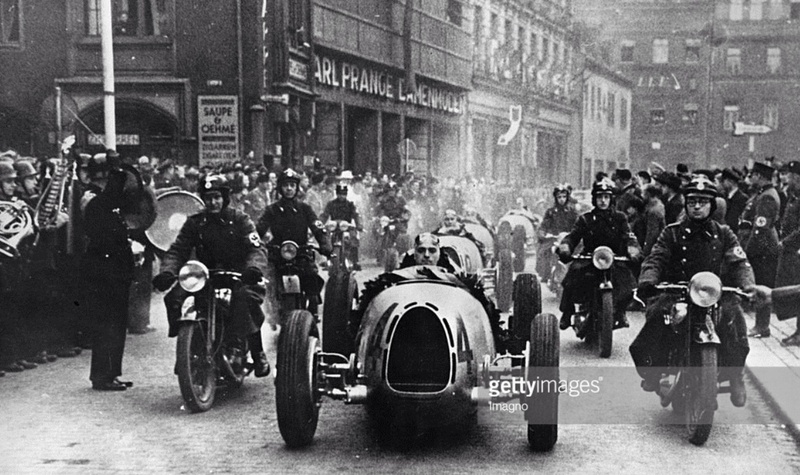 But I think it may be Bernd Rosemeyer’s victorious 1936 ADAC Eifelrennen winning Type C, 3 litre V16 engined car. 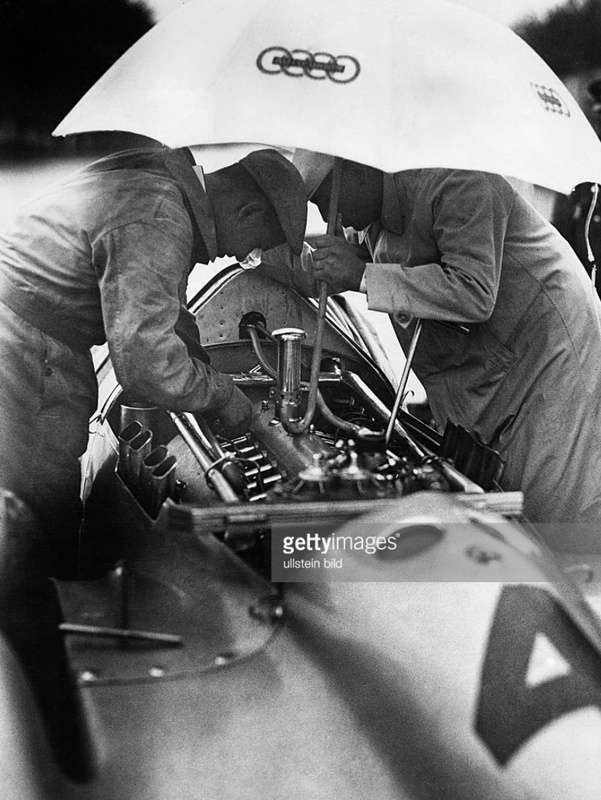 The number fits, the photo was taken by a German agency and the exhaust pattern, two into one ‘drainpipe’ seems to fit with the limited number of shots I can see of Bernd that day. But all correspondence will of course be entered into.